While everybody is watching tomorrow’s vote on the legalization of recreational marijuana in Canada, there are also other places where interesting things happen. If a bill c45 passes, we are expecting entire industry index to lift up to 20% in Canada, USA, and Australia. This is a big thing and the bill is very awaited. Today I want to point out also another fact – an already passed bill – Legalization of Recreational Marijuana in Massachusetts! From 1st July 2018, you’ll be able to buy weed in the first US state east of river Mississippi that has pot legal for adult use. The company is based in Toronto and has operations in Canada and the USA. Thus, it will benefit from legalization in both Canada and Massachusetts. The company already operates in other US states and thus, lifting its sales to other two huge markets will result in great stock price increases. Furthermore, MPX Bioceutical has been investing in production capacity developments to keep up with demand once the shops open the door. The company is literally prepared for a pot spree this summer. MPX Bioceutical is still considered as a small-cap of about 300M and price 0.82. With its foundations of medical and recreational experience, the company will easily become a market leader rising its value exponentially. 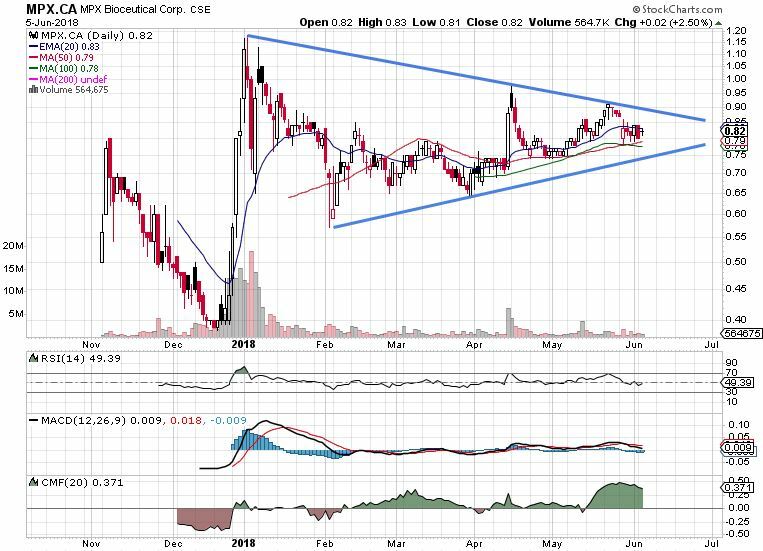 The chart setup is showing a symmetrical triangle pattern, which represents a consolidation. Once it breaks, it will break big time. It is just a matter of time, just look at the money flow. A lot of cash is being pumped in. Obviously, the entire industry is in a similar setup and when it breaks, it’s going to fly. MPX Bioceutical is going to fly with the industry and very likely outperform it. Thus, let’s say the industry increases 20%, the MPX Bioceutical may increase 300% or 700% or 2000%. Getting into quality stocks early can provide incredible future profits. 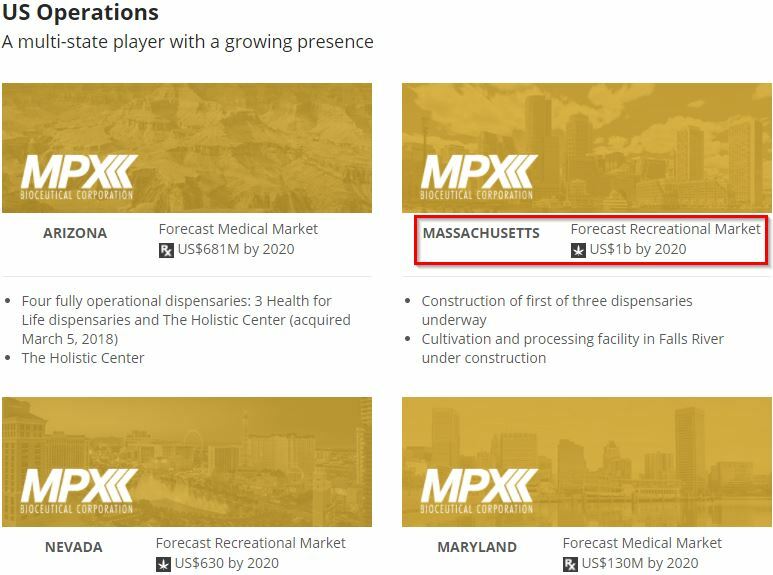 MPX Bioceutical offers a fabulous long-term opportunity for investing. Important is to stay disciplined and focused on the big picture!